The Scottish Parliament overran initial costs by a factor of ten and was delayed by 3 years. It is clear that similar to the Sydney Opera House the design was not finalized before construction and estimates were not backed by a credible cost estimation process. For example, here are the 5 finalists chosen from a shortlist of 12 in May 1998. Only one of these finalists adheres to the budget, every other proposal fails to meet the brief in terms of both cost and size. It is absurd to specific minimal criteria for a brief and then fail to shortlist finalists based on those criteria. When a project starts with this level of disregard for process, it is unlikely to ever get back on course. From there, the project continues to unravel, for example the architect then added 4,000 square meters (+14%) to his design area. It is perhaps not surprising that the project manager resigned just over a year into the project because there was clear tension between the sponsors’ desire to have the Parliament ready as soon as possible and the architects’ desire for a “gestation period” to really flesh out his design together with a need to be engaged in all decision making. The lead project sponsor (Donald Dewar) and architect (Enric Miralles) sadly both died during the construction period, which further complicated the project. Detailed reports on the project can be found in the Hollyrood Enquiry and Parliamentary Briefing and this article from Max Wideman. 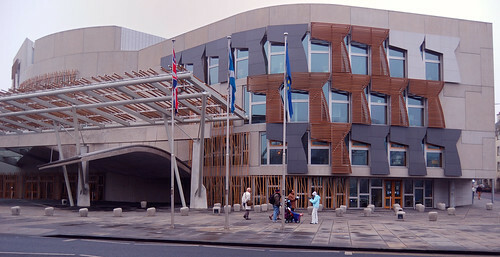 It is worth noting that the Scottish Parliament has won many national and international architectural awards. This is similar to many delayed projects in that they fail specularly on time and budget constraints, but the quality of what is delivered can ultimately be extremely high, even if the apparent process in creating it was not. The process of selecting and managing the new Scottish Parliament had no regard for credible estimates from the outset. As a result it is unsurprising that the final result bore no relation to the initial estimates. It also appears that the sponsors of the project wanted quality above all, and in that context it is not surprising that cost and time gave way to that objective. 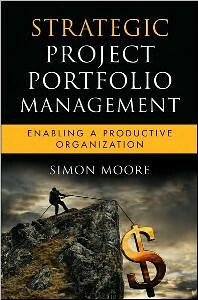 This entry was posted in project failure and tagged cost overrun, delay, EMBT, Enric Miralles, estimates, Hollyrood enquiry, process management, project failure, project management, RMJM, Scottish Parliament. Bookmark the permalink. This is the ugliest building I have ever seen. It should have been left to the public to pick a design for the parliament and not politicians. We deserve better than this eyesore. Thank you James Hamilton, I agree. Did you watch the Frasier enquiry? One Dope after another. From beginning to end this building project was a disaster. Scottish people are so fond of trotting out details of all the wonderful things various Scots have invented, but when they wanted a fabulous building they hired a Spaniard who suggested this mess and then died. What they’ve now got, they deserve. Including the Dopes inside.